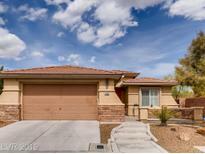 Below you can view all the homes for sale in the Echo Ridge At The Ridges subdivision located in Las Vegas Nevada. 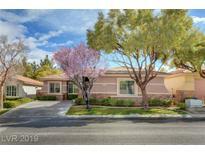 Listings in Echo Ridge At The Ridges are updated daily from data we receive from the Las Vegas multiple listing service. To learn more about any of these homes or to receive custom notifications when a new property is listed for sale in Echo Ridge At The Ridges, give us a call at 702-323-5933. All Single Story Homes By Community Park And Summerlin Attractions-courtyard Entrance, Formal Dining Room, Kitchen W/Granite, Pull Outs And Breakfast Bar Open To Great Room Leading To Covered Patio And Bi Bbq-private Spacious Backyard W/Heated Pool & Spa, Sun Deck-solar Tube Lights In Laundry And Guest Bath-plantation Shutters T/O-master Bedroom W/Retreat-extra Deep 2 Car Garage W/Storage Cabinets And Workbench-corner Lot MLS#2085041. Simply Vegas. Backyard With Covered Patio And Desert Landscaping Perfect For Outdoor Entertaining And Relaxing. Amazing Home! ! MLS#2084042. Vegas One Realty. We are located on the end of cul de sac and near a park...Enjoy the entertainers backyard with amazing pool..home has an open floor plan...custom light fixtures and plenty of room.. MLS#2082574. Acclaim Real Estate. If Your Looking For A Highly Upgraded Single Story That Is Nearly 2500 Sqft In The Heart Of Summerlin / Ridges, With 3 Bedrooms + Huge Den & Sep Formal Dining Room, Ozzi Craft Spool & Waterfall, Fully & Lushly Landscaped, With Extensive Use Of Granite Counter Tops, Stone Flooring And Mill Work Through Out, Island Kitchen, Top Of The Line Appliances, Built In Bbq, Slate Porch & Patio, Epoxy Garage Floors, Then Look No Further! MLS#2059162. Hudson Real Estate.